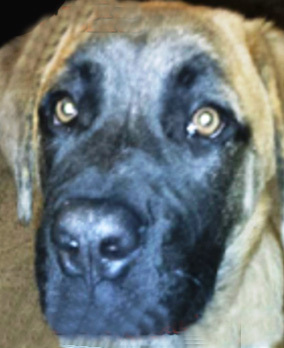 Sergeant Bilko aka “Billie” is an almost 4 month old mastiff mix…we think. It’s hard to guess what this “little” girl is mixed with, but we do know that her rough start has not affected her loving personality. Billie was found by a rescuer under an abandoned trailer near a Reservation. She was brought into care and travelled across the state of South Dakota to join our Big Paws Midwest group. If it takes a village to raise a child, it takes a caring, statewide network to help a future Service Dog find her home. Billie is sponsored by a generous donation from our local CVMA and Auxiliary, was rescued and transported from Fort Thompson, is being loved and fostered by our newest puppy raisers, Todd and Leta, will be trained by our group of puppy, obedience and task trainers and then will be ready for her position as a Service Dog. Billie’s recipient is both a Veteran and a current First Responder.